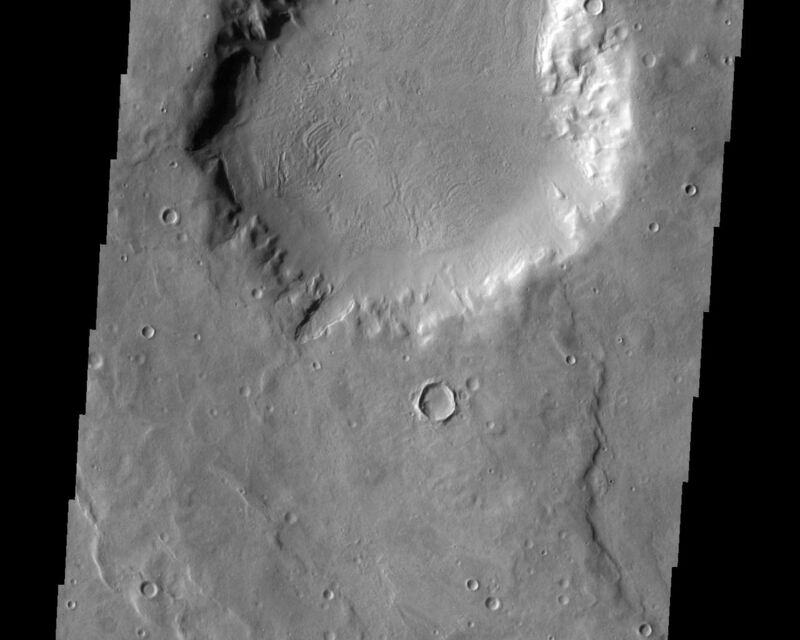 This unnamed crater in Arabia Terra appears to be the source of the channel that runs to the top of the frame. 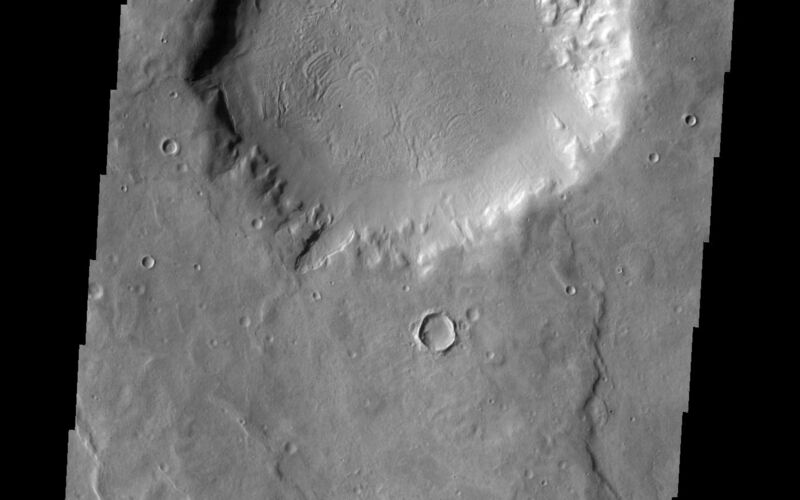 This channel/crater combination is part of a much larger channel system in Arabia Terra. Image information: VIS instrument. Latitude 40.5N, Longitude 11.7E. 19 meter/pixel resolution.